They also provide better grip, and vary in colours, so you may color code the gamepads if you have like four of them. The skins have all the necessary holes for sticks and buttons. Personally, I prefer the Xbox 360 controller, because it is way better than the PS3 one. It is bigger and longer, for a better fit into large arms, while the ps3 controller is for Asian little kids hands. 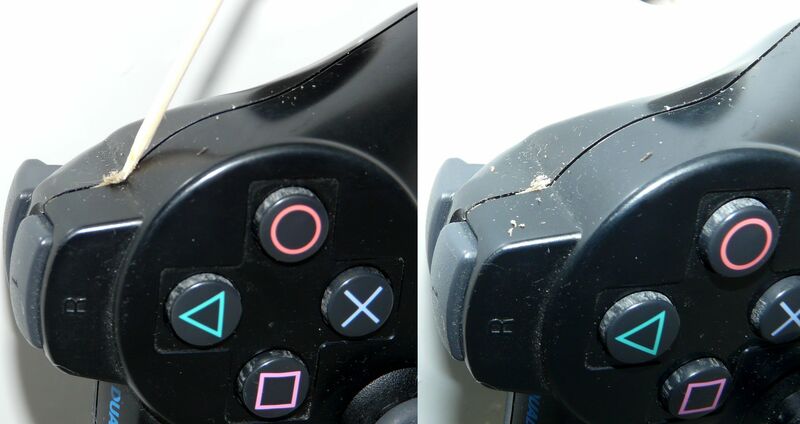 The Xbox analog sticks are better placed and are better shaped, while the PS3 analog sticks are rounded and slide under fingers easily. And the last thing, the XBOX triggers are hook like, while the ps3 one are shaped inwards, making them very uncomfortable in driving games like GTA. Two aftermarket accessories are available to address those issues. First one is clip-on trigger extenders to make the PS3 trigger resemble that of XBOX ones. Another one is stick clap-ons. These are small silicone pads, which fit both PS3 and XBOX 360 analog sticks to make them larger and flatter. This is crucial for better grip. In general, all these accessories really bring comfort of using a gamepad onto a next level, so go try some.